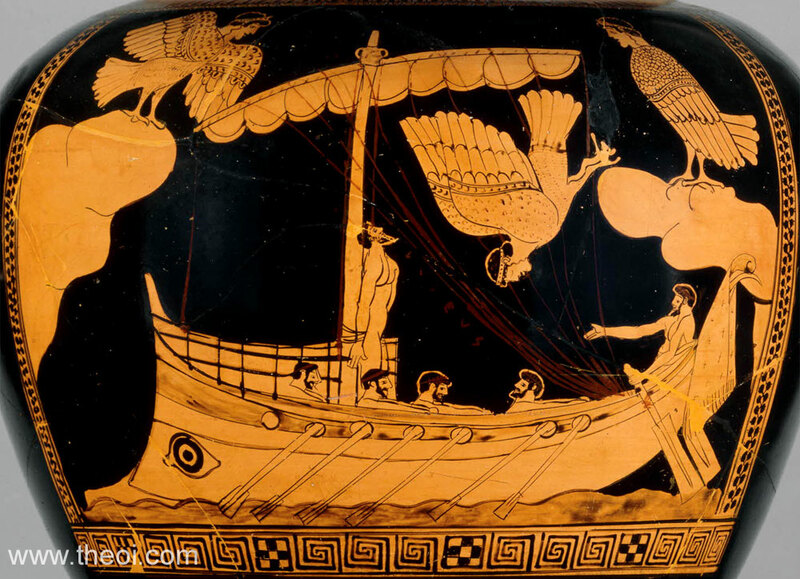 Odysseus, bound to the mast of his ship, listens to the deadly song of the Sirens. 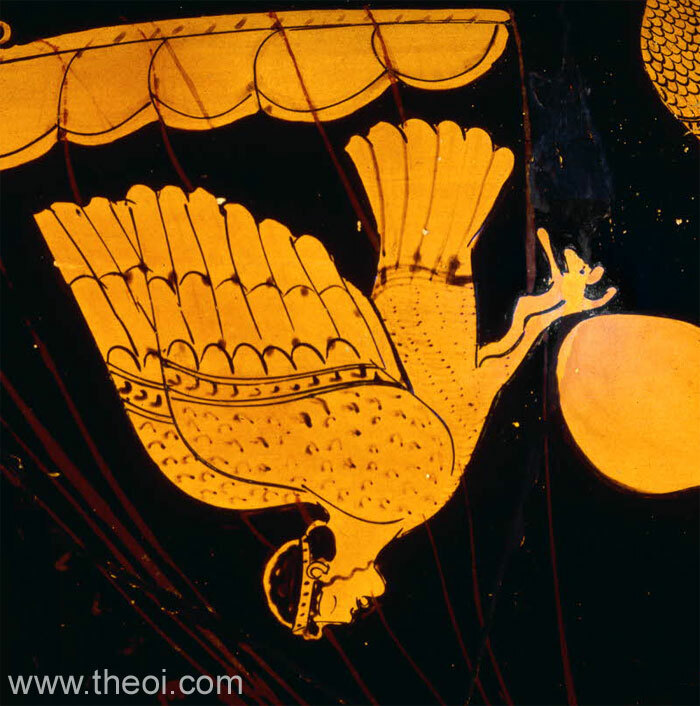 One of the bird-bodied maidens casts herself into the sea in despair at being foiled by the hero. Detail of the Siren suicide.